Downtown San Diego’s Gaslamp District is the city’s entertainment center and the most active of all downtown neighborhoods with over 100 bars and restaurants compressed in a few city blocks. If you like to live in the center of it all Gaslamp Real Estate opportunities are a bit limited as most of the land use is for commercial purposes. However, there are a few residential condo buildings in the neighborhood offering studios, lofts, 1 bedroom and 2 bedroom condo residences. Below we present you a detailed guide to each residential building in the neighborhood. 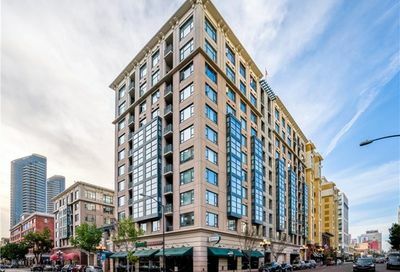 Please click on any Gaslamp San Diego condo building for more information and to view for sale listings within that building. Below are all condos in Gaslamp San Diego currently listed for sale (this list is updated every 10 minutes). Click on any listing for additional details or to schedule a property tour. Please contact us if you have any questions or need assistance with your property search. Alternatively you can perform a custom search or view all condos for sale by using our advanced search dedicated to Gaslamp San Diego Condos for Sale.